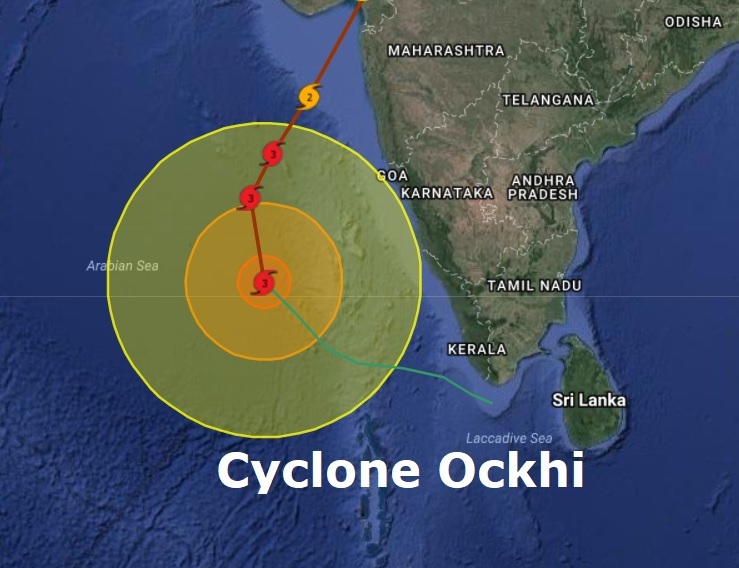 Deadly Cyclone Ockhi smashed into the Lakshwadeep islands in southwestern India on Saturday and caused destructive flooding in the southern states of Kerala and Tamil Nadu and killing 14 people with many fishermen still missing. According to authorities India's Coast Guard and Navy have resued more than 200 fishermen and evacuated thousands of people from the cyclone-hit areas. The deadly cyclone is expected to roll on northwards targeting Mumbai and Gujarat over the next couple of days but is expected to weaken. With waves expected to reach heights of 3-5 meters (12-15 feet) fishermen have been warned not to go to sea for the coming days according to Reuters.